The title here implies that she actually has some sense, but I am starting to doubt even that. All this time, I thought she was just lying. One of her latest tweets demonstrates what I am talking about. I’ve even seen skilled archers get off more than ten shots in half a minute with a bow an arrow! Shannon and her group Moms Demand Action for Gunsense in America openly call for an assault weapons ban. 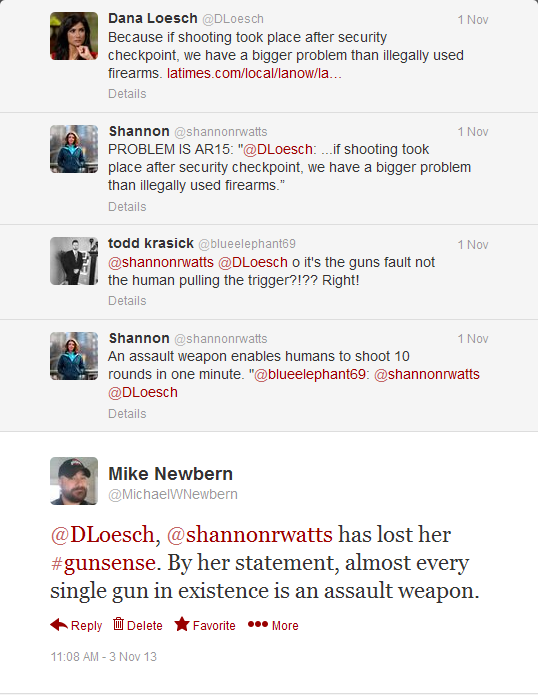 She has clearly defined nearly every firearm in existence as an assault weapon. Does this mean that she wants to eradicate firearms while claiming to support the Second Amendment? Where’s the gunsense in that? Or does it mean that her agenda all along has been to eradicate all firearms and that she’s just now openly admitting to it?